Domain name system is a network component which identifies the website to its IP address for a successful connection. IP address is a series of numbers assigned to each website and the DNS is able to translate between the website’s name and its IP address. The DNS is run by your ISP, Internet Service Provider, sometimes people opt to switch servers for many reasons. One of the main reasons is the lack of reliability of the Primary DNS. The primary DNS may take forever to load your search results for it has to look up hundreds of websites to just display one, the number of look ups is only going to increase in the future. If this isn’t a good enough reason for you to switch to third party DNS servers, we don’t know what is. OpenDNS and Google Public DNS are DNS Servers users usually switch to for a number of benefits and features they offer. The obvious benefit is that both OpenDNS and Google Public DNS focus on speeding up your search results. Let us take a look at the benefits of using Public DNS. Improved speed and reliability on displaying search results. By using public DNS may or may not improve speed, this depends on the kind of DNS server you are using, OpenDNS and Google Public DNS are front runners in providing faster service than the primary server. Improvement in speed means that your search results are loaded faster and there is also an improvement in reliability. These servers achieve this impeccable speed by their pre stored data which resulted from a previous computation act. Google DNS also tries to locate the right website even if you misspell it therefore making it more reliable than any other DNS Server.Google DNS is by far the largest Public DNS in service, managing over 400 billion per requests per day. Google Public DNS offers a secure connection which ensures that data is not tampered with or eavesdropped on. Public DNS requests are sent as DNS over HTTPS which results in a very secure connection without any tampering of data. The server fully supports DNSSEC (Domain Name System Security Extension) which fortifies search results to remain strictly what the user has searched for. Cache poisoning is a term used for redirection of the search results to other inappropriate websites; Google Public DNS does not allow this. Google Public DNS describes its services as “making the web faster and more secure”. Other OpenDNS security features includes Botnet Protection, Malware Protection and protection against suspicious responses. Some DNS servers such as OpenDNS have this extra security features for parental controls where young children are allowed to access the internet. By switching to OpenDNS, the user can activate Web Content filtering by various levels which includes filtering of obscene websites, illegal activities, violence and other bizarre contents. Once you switch the server, the other devices connected to the network also confine to the filtering process. When the user requests for blocked content, it is redirected to a message conveying that the website has been blocked. A more mature user is able to surpass the filter by switching servers; this has to be manually monitored if you are dealing with teens. It also provides Phishing protection which deals to secure confidential data. 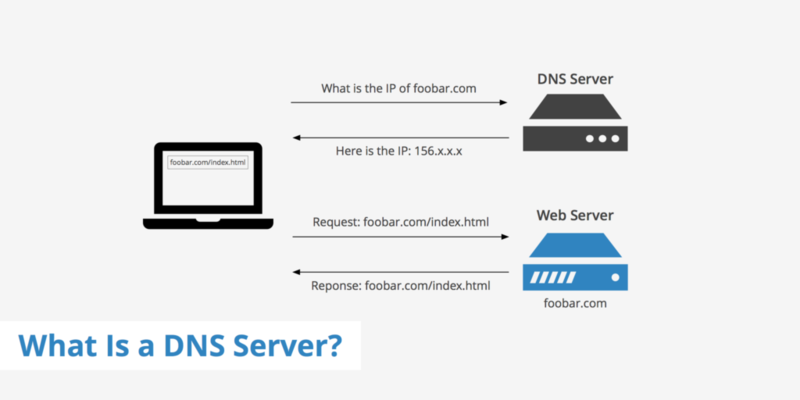 Here you can look for Best Free and Public DNS Servers of 2019 to Use at techiedark. Many a times we have encountered message been displayed saying that the content is not available in our region. Geo blocked content is a term used when internet content is restricted by user’s geographical location. Music and Movies are by far the worst categories to block you out. Warner Music group, Sony Music Entertainment (SME) and Universal Music Group (UMG) are major bigwigs are intense agreements. This is mostly for copyright reasons licensing and royalties; one can easily surpass this type of blocked content by using a Public DNS. Public DNS poses the user as if they are not from the blocked geo location and access the content. The popular Netflix is among the geo blocked content which can be easily accessed by switching servers. Web Censorship or Internet Censorship is the limitation of what can be accessed over the Internet. The extent of the limitation is not consistent worldwide and may vary country to country. Democratic countries are less suppressed to news and other discussion forums when compared to countries under dictatorship, understandably so. Certain countries block content at the DNS level, if this is the case, you can easily access the website by just switching your DNS Server. There are other DNS servers such as Namebench which identifies if your current DNS is showing results after censorship.